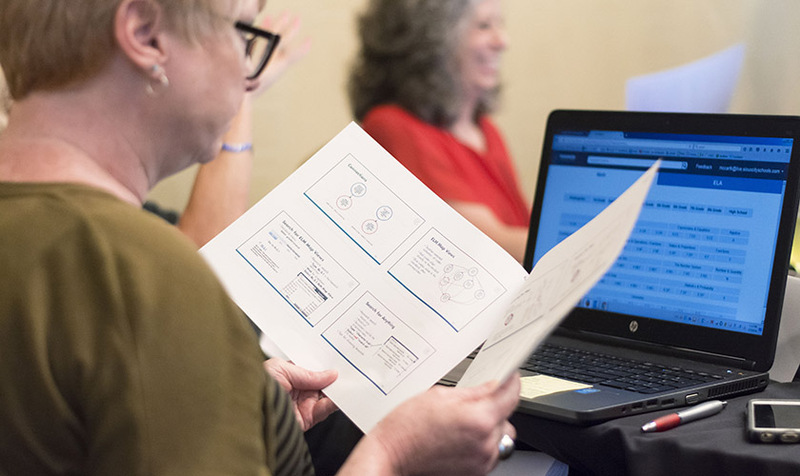 A teacher in the Enhanced Learning Maps project reviews instructional materials at a training workshop in July 2016. A participant of CAARD's Enhanced Learning Maps project reviews the project's learning map software to prepare for fall classes. 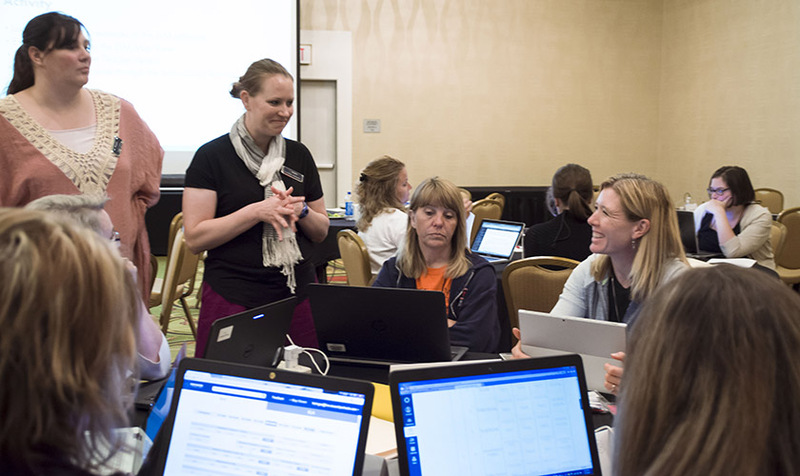 CAARD staff talk with teachers participating in the Enhanced Learning Maps project at a training workshop in July 2016. The Center for Assessment and Accountability Research and Design (CAARD) has two primary objectives: conducting research to improve assessment and accountability systems, and applying those findings to assist states in designing effective assessment and accountability systems. 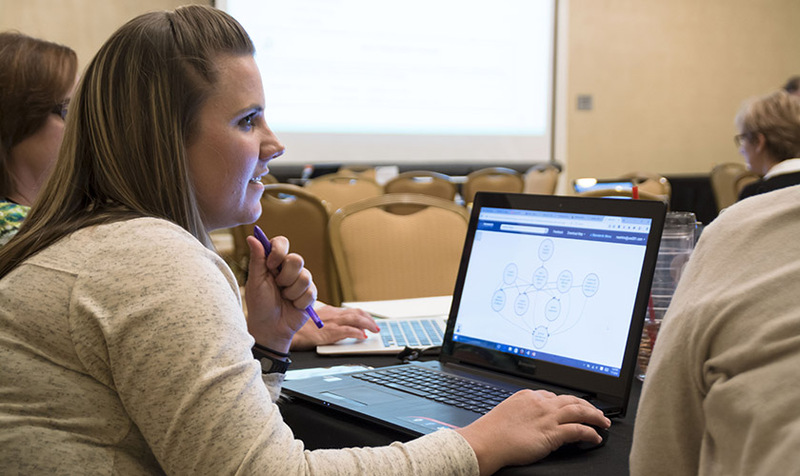 Early projects at CAARD include developing formative assessment tools for teachers to use in responsive instruction, assisting the state of Oklahoma in designing new assessment and accountability systems, and examining concerns with device compatibility in online assessments.